Train with Grandmasters and Masters from around the US (all ages and ranks) in two back-to-back clinics on Friday night. Choose from subjects including self-defense, Tai Chi, sparring technology, Korean Sword and more. 2014 Business Roundtables! This year we have an special offering of business discussions for studio owners, instructors and support staff . Sessions will be held from 3:00 - 5:00pm on Friday June 20, 2014. Click here for more information. This clinic is being offered by Sa Bom Nim Leclerc. Strategies and Concepts that will enhance your fighting abilities. Master Shintaku began his training in Tang Soo Do in 1966 at the age of 14 under the tutelage of Grandmaster Mariano Estioko, earning his Cho Dan (1st Degree Black Belt) in 1970. In 1976 he relocated to Seattle, Washington but didn’t begin teaching Tang Soo Do until 1978 when he founded the Seattle Tang Soo Do Association. In 1980, Master Shintaku, then a Tang Soo Do 3rd Degree Black Belt, began training in Shito-Ryu, a Japanese style of karate receiving a 1st Degree Black Belt in 1982. From 1982 to 1984 Master Shintaku was teaching the Shito-Ryu style as a member of the Japan Karate Federation. 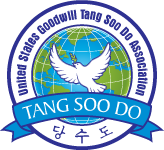 In 1984 he returned to teaching Tang Soo Do and re-established the Seattle Tang Soo Do Association. In 2012 Master Shintaku was promoted to 8th Degree. Master Shintaku is also an instructor level practitioner of Yang Style Tai Chi and has trained in various other martial arts such as Wing Chun, Modern Arnis, and Small Circle Jiu Jitsu. Grandmaster Shintaku has been a top rated Karate competitor in California, the Pacific Northwest and nationally has competed in both Full Contact and AAU competition as well. He has won many awards in both Fighting and Forms competition and is recognized as one of the outstanding Tournament Officials in the country. Master Shintaku promoted the USA National Karate Classic, one of the premier Karate Tournaments in the Northwest. He has appeared on the cover of and featured in Karate Illustrated Magazine, featured in Tae Kwon Do Times and Black Belt magazine and is listed in “Who’s Who in the Martial Arts”. Currently Master Shintaku is the Vice President of the World Dang Soo Do Union – USA, Senior Master Instructor of the Western Pacific Tang Soo Do Association, and owner and Head Instructor of Exceed Martial Arts in Renton, WA. This clinic is offered by Kwan Jang Nim Wesley C. Jenkins of Tiger Do Jang. Ho Shin Sul (self defense) seminar. Up and in close self defense techniques including joint locks, takedowns and striking pressure points of the body. Open to adults red belt and above. No special equipment needed. This clinic is being offered by Sa Bom Nim Donald Belsito Sr. of the Catskill Martial Arts Academy. He will present the Yang Family 24-posture form along with temple exercises and history. This clinic is designed to improve vascular circulation, gain flexibility and relax the mind. The concept of the Taiji (太極,"supreme ultimate") represents the fusion of Yin and Yang into a single Ultimate, depicted by the familiar Chinese symbol for the concept of yin and yang. The form was the result of an effort by the Chinese Sports Committee, which, in 1956, brought together four t'ai chi teachers to create a simplified form of t'ai chi as exercise for the masses. About the instructor: Master Belsito started his martial arts training in Moo Duk Kwan Tang Soo Do under the tutelage of his father Grand Master Walter Belsito Sr. In 1971. He has been training, studying and researching in the martial arts for many years. 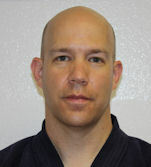 He holds Instructor level certification in Korean, Japanese and Chinese martial arts systems. Weapons, Jujutsu, Ninjutsu, Tai Chi and Tang Soo Do throughout New England. He competed in the Professional Karate League (P.K.L.) and was rated in sparring, forms, and weapons. SBN Pumarejo will conduct a clinic on the Korean sword art - Hai Dong Gum Do. Please bring a sword.